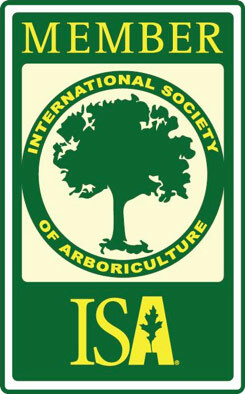 Commonly confused with topping, a process which more often than not kills even some of the most established trees, crown thinning and height reduction with crowning are two healthy and viable option for any tree owners that are worried about variables like weight distribution, overly dense canopy, or light blocking trees. Simply put, crown thinning is the removal tertiary branches located at the topmost parts of the tree, or “crown.” This helps obtain a uniformed density and evenly spaced branch structure. In addition, and perhaps most importantly, crown thinning should effectively allow light to pass through the top of the tree into the tree, reaching the lower portions of your tree’s foliage. In order to obtain the most attractive and effective crown reduction, we suggest avoiding heading cuts; that’s to say, don’t lob all of the branches off at one particular set height. That’s called “tree-topping” and can actually harm your tree more than anything else. At “Your Way Tree Service Inc.” we practice “drop-crotch” pruning, in which the trees primary branches are left in place while only the tertiary branches are pruned. This way, the height of the tree is not affected, only its density. On average, crown thinning approximately 30% of your trees foliage should be removed. On the other hand, crown reduction is most commonly preformed on tress of individual limbs that are growing too close to buildings, utility wires or other trees. Generally this type of pruning involves reducing the height or spread of the crown or individual limbs. In addition, Crown reduction is also commonly used to alleviate the mechanical stresses usually caused by an unbalanced tree. The final result of this process should retain the integrity and framework of the crown, while reducing a trees canopy only enough to let more light in. 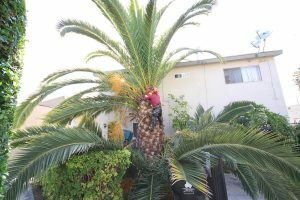 It isn’t suggested that crown reduction be preformed on all trees so make sure to consult with a professional before crowning a tree on your own. Call us at 818.882.2335 or email us at salesdept@yourwaytreeserviceinc.com for our free professional consultation services. In addition to our complementary consultation services, we also provide estimates in print. This ensures that whether you wait a week or a month to finally schedule a tree trimming appointment, the original service fee stands firm. 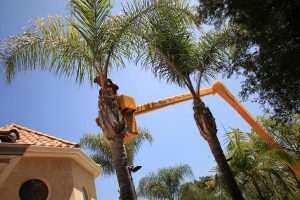 Between our highly trained staff’s experience and our up-to-date equipment we’re capable offering the most efficient and safest tree crowning service in the market today.